The American Freedom Alliance’s Sunday morning Los Angeles conference was titled, “From Gold to Dust: The Destruction of California.” While the 2016 conference was focused on radical Islam, this conference topic was California’s excessive regulations and taxation, with panels on education, environmentalism, one immigration panel, regulations and taxation, and one party state issues. The SPLC cherry-picks several speakers as “anti-Muslim,” while never providing context for this charge. I spoke at the event, and apparently escaped their scrutiny since I only addressed the crushing regulations strangling California businesses. Each panelist gave a ten-minute talk on the decline of California’s civic institutions. Lance spent his 10 minutes discussing his new book, The Corrupt Classroom, in which he exposes the shocking situation in many American public schools, from teachers politicking in their classrooms to one-sided curricula to unsafe campuses to massive fiscal mismanagement, in which children are being indoctrinated,victimized or shortchanged in their learning. And Lance did address CAIR’s involvement with the San Diego school board. In April 2017, the San Diego Unified School District adopted an initiative that provided special benefits to Muslim students, permitted the Council on American-Islamic Relations (CAIR) to provide educational materials and revise curricula to promote a more positive and inclusive portrayal of Islam. And the SCUSD was sued by parents for this. The board rescind the anti-Islamophobia intiative and instead sought an anti-bullying measure that protected students of all religions. But CAIR tried to make the anti-bullying measure only about Muslim students. The SPLC provided no context. I don’t see the hate in that mission statement, given that Western Civilization IS under attack. Just look at Europe. Yet on the heels of the Charlottesville tragedy, the SPLC prepared a “hate map” and distributed it to all media, which all too happily used it as gospel, and repeated its contents on news stations across the country. Included in this “hate Map” are many Christian-based organizations, as well as groups that defend religious liberty. “Nearly half of the groups attributed to the KKK, neo-Nazis, racist skinheads and white nationalists seem to exist only in the imagination of the SPLC’s Public Relations Guru and chief Hate Map cartographer, Mark Potok,” according to Watching the Watchdogs. The SPLC makes claims and never provides any evidence. 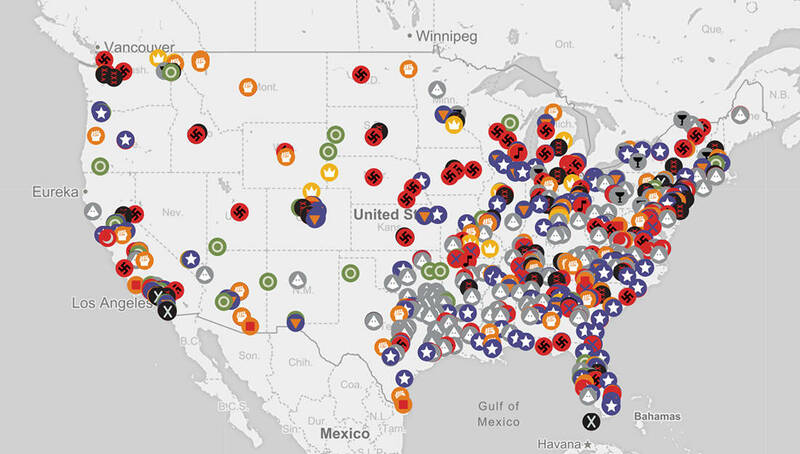 The SPLC needs to be sued by every group wrongly named in this hate map, and every group like AFA slandered by SPLC. Fortunately, a conservative Christian media group has slapped the Southern Poverty Law Center with a defamation lawsuit after being listed alongside neo-Nazis and white supremacists on its “hate map,” the Washington Times reported. It’s long past time to expose the SPLC as an arm of the radical left and Democratic National Committee. It’s interesting to note that Black Lives Matter and Antifa are not on their list, despite calling for the killing of cops, and the violence and property damage they’ve perpetrated at pro-Trump rallies, and Conservative speaking events.